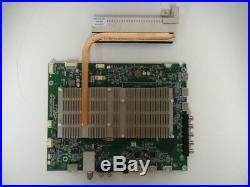 Vizio M55-C2 LWZQSBAR Main Board (755012010003) 791.01210.0008. Please read the information below and follow the table we have created. Below we have created a table that contains all the information you will need to find your part number. You need to pay special attention to the “Part Number” and “Important Message” Row. The “Part Number” row gives you the actual part number. The “Important Message” row tells you where and how to find the part number. DO NOT order by BOARD NUMBER or MODEL NUMBER unless instructed to in the “Important Message” row. Main Unit, Main Board, HDMI Input, A/V Board, Signal Board, Tuner Board, USB Input, Digital Audio Output, Ethernet Input. 791.01210.0008 / 755.01201.0003. 748.01208.0011, 14046-1, 755012010003. 755012010003 can be found printed in a little white box on the front of the board. Works for part with Serial Number beginning with LWZQSBAR. After listing our parts, they are kept in anti-static bags with labels to help prevent damage. Our parts from 2014 / 2015 model TV’s are mainly from brand new LED TV’s that have had little to no use. Any parts we get from 2015 and beyond will also be from mainly brand new TV’s as well. We list these parts as used because we don’t know the exact history of the Television set itself. They could have been used for a week to a month, or never at all. A used part does NOT mean it will not work great for you for years to come! We do also acquire older model TV’s that have seen extensive use. These parts are also covered by our DOA guarantee. We test them before listing them to ensure they work correctly. If your order is paid before 2. M ET, then it will go out the same day. The invoice needs to be paid by 2 P. ET or else it will not go out the same day. Do not return an item to us if you have not first contacted us. All of our items have a special marking on the board. Items that arrive DOA will have a replacement sent out. Listing and template services provided by inkFrog. 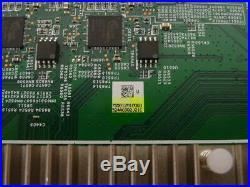 The item “Vizio M55-C2 LWZQSBAR Main Board (755012010003) 791.01210.0008″ is in sale since Monday, October 23, 2017. This item is in the category “Consumer Electronics\TV, Video & Home Audio\TV, Video & Audio Parts\TV Boards, Parts & Components”. The seller is “tvchopshop” and is located in Lansing, Michigan. This item can be shipped to United States, Canada, United Kingdom, Denmark, Romania, Slovakia, Bulgaria, Czech republic, Finland, Hungary, Latvia, Lithuania, Malta, Estonia, Australia, Greece, Portugal, Cyprus, Slovenia, Japan, China, Sweden, South Korea, Indonesia, Taiwan, Belgium, France, Hong Kong, Ireland, Netherlands, Poland, Spain, Italy, Germany, Austria, Israel, New Zealand, Philippines, Singapore, Switzerland, Norway, Saudi arabia, Ukraine, United arab emirates, Qatar, Kuwait, Bahrain, Croatia, Bahamas, Uruguay. This entry was posted in vizio and tagged board, lwzqsbar, m55-c2, main, vizio. Bookmark the permalink.